If like me you sometimes struggle to drag yourself out of bed in the morning, a new device called the Lumino Smartplug created by Philippe-Olivier Provost, might be able to make the transition from sleep a little easier to accept. The Lumino Smartplug allows you to transform any light into a wake-up lamp, that can then be controlled by its companion application on your smartphone or mobile device. Watch the video below to see the device in action. 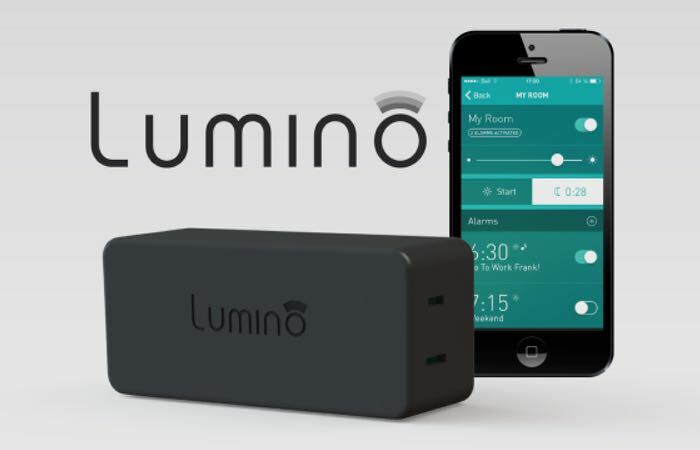 “The Lumino smartplug is the new way to wake-up! Control your lamp as a dawn simulator, schedule alarms and songs with your smartphone. With the use of your smartphone or tablet, the Lumino Bluetooth smartplug transforms your bedside lamp into a dawn simulator. The Lumino smartplug project is currently over on the Indiegogo crowd funding website looking to raise $30,000CAD pledges to make the jump from concept to production. So if you think the Lumino smartplug is something you could benefit from, visit the Indiegogo website now to make a pledge and help Lumino smartplug become a reality.